Bring in your activewear that no longer fits, doesn’t fit the way you’d hoped, you no longer enjoy, etc. Shoes are also welcome, as are any relevant accessories. I’ll also be doing t-shirt cutting demos, so bring in any shirts you might like to cut in a new fun way. You absolutely do not need to have attended Zumba class before-hand. This event is open to everyone, whether you are a Fitness with Rachel client or not. Please invite all your family and your friends! 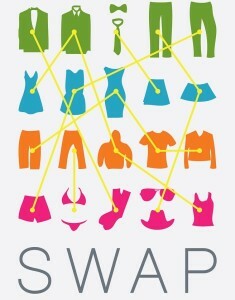 SWAP ground-rules: We’re going to try this on an honor system (don’t let me down)! If you bring 1 thing in, you take 1 thing out. If you bring 5 items, you’ll be eligible to take 5 new-to-you items, and so forth and so on. Items should be in gently used or better condition – clean and dry, no holes, stains, worn out elastic, etc. 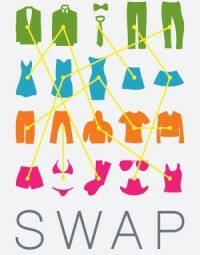 If you’d be embarrassed to lend an item to a friend, please don’t bring it to the swap. No socks or underwear, unless they are new with tags still attached. Shoes and fitness-related accessories (headbands, bandannas, hats, fitness trackers, heart-rate monitors, etc) are ok, as long as they fit the above criteria.